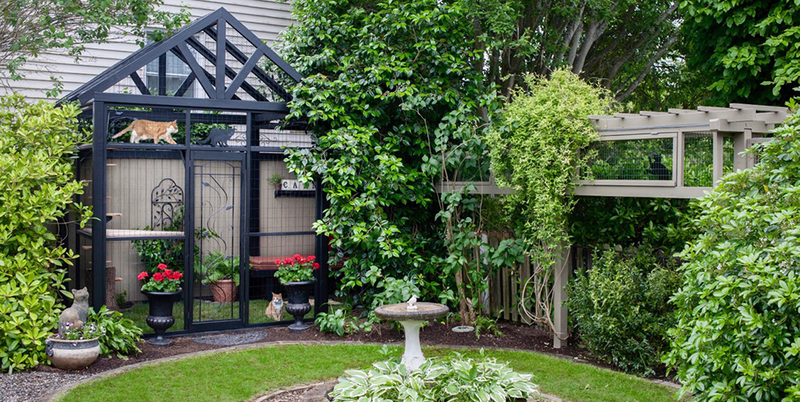 These backyard spaces are the cat’s meow. Article by Rori Kotch and Madison Alcedo of Country Living Magazine. Cats love to be outside, but letting them roam around on their own can lead to the possibility of your feline friend getting dirty, lost, or worse, hurt. The latest solution? The catio (a patio, for cats—get it?). 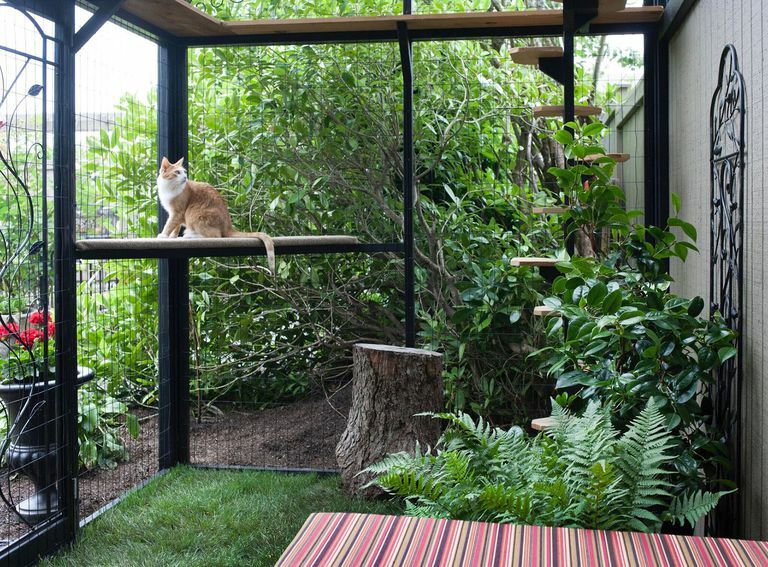 A catio is like a man cave (or a she-shed) for Whiskers: an enclosed backyard space that allows him to run around or take a nap, filled with scratching posts, shelves, stairs, and maybe even a plant or two. 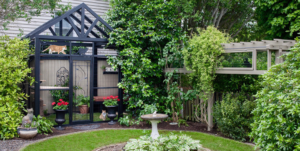 If you’re a cat owner who struggles with letting your cat roam outdoors, a catio is the best of both worlds: cats can safely enjoy the fresh air while owners have peace of mind knowing their cats are protected. Intrigued by the idea? 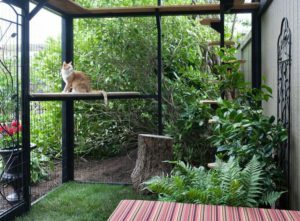 Seattle-based Catio Spaces specializes in designing and building custom catios in the Seattle area. But if you’re willing to build your own, Catio Spaces also sells four different DIY catio plans ranging in price from $40 to $70. While some of these catios are simple window box-like spaces, others are incredibly elaborate, featuring several stories or tunnels connecting multiple structures to maximize feline freedom. 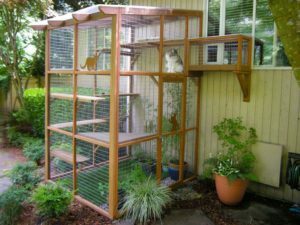 If the prospect of a custom catio sounds pricey, catio advocates argue that if you live in an area near a busy road or around predators like coyotes, it can save on vet bills in the long run.